UNFPA Turkey | 144 young refugees, 12 teams, 1 tournament: “Overhead Kick for Health” kicked off! Home News 144 young refugees, 12 teams, 1 tournament: “Overhead Kick for Health” kicked off! 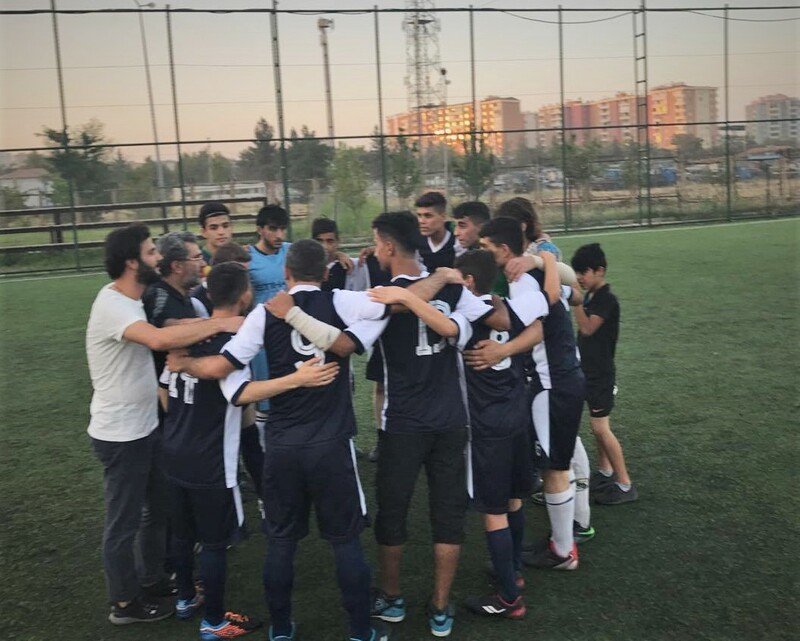 DİYARBAKIR - On August 1, 2017, with the UNFPA Turkey, Community Volunteers Foundation and Youth Approaches in Health Association (Y-PEER Turkey) partnership along with the financial support of the U.S. State Department’s Bureau of Population, Refugees, and Migration, Diyarbakır Youth Center kicked off a football tournament for the young refugees coming from various parts of Diyarbakır. A total of 144 refugee players aged between 16-30 participating the tournament. The main aim of the tournament is to reach out Syrian young refugee men in the region and raise awareness on the issues of sexual and reproductive health, family planning, women’s rights, gender based violence, stress management, coping with depression as well as informing these young refugees regarding the activities the Diyarbakır Youth Center does. More importantly, the center in Diyarbakır aims to attract these young refugees to participate in healthy activities and prevent self-damaging actions that these young people may incline to do. At the opening game, the refugee and local players played a friendly. Aside from the informative sessions designed for the young players, the Diyarbakır center aims that these activities help create an environment which nourishes mutual understanding, respect for differences, and encourage both parties to build long-lasting relations. To do just that, the preferred motto for this sports activity is “respect for diversity”. The football tournament will end on August 18th, 2017.